Jonathan Scott is the co-host of five home T.V. series with 30 million viewers per month and one-half of globally renown lifestyle empire Scott Brothers. We spoke with him about founding Casaza, his home style, and what inspires him. Casaza: Why did you start Casaza? 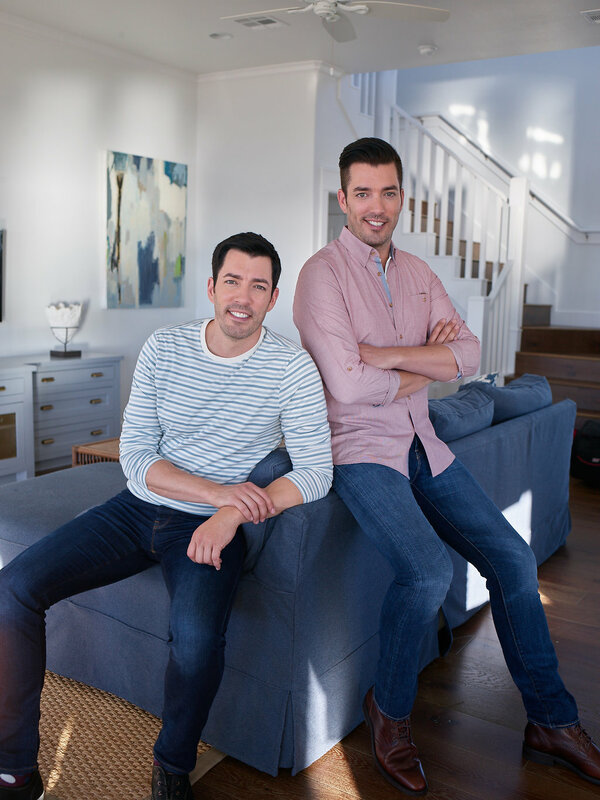 Jonathan Scott: We’ve been working in design and construction for over 20 years now and filming Property Brothers for almost 10. We noticed a real disconnect between what people see and love on our shows and their ability to make it happen at home. Casaza is the perfect way to get inspired… And actually make it happen. C: How did you get your start? JS: Going way back we’re very handy because we were ranch kids and my dad taught us how to build and fix anything around the house. I took that to the next step and learned woodworking and metalworking when I would build my own props as a magician. After graduating from high school, Drew and I decided to get into our first investment property, and we managed to do so with only $250 out-of-pocket. If you want to know the whole story, pick up our New York Times best-selling book, “It Takes Two” — shameless plug! JS: I’m all about elegant and sophisticated but comfortable and inviting. I don’t like cold, minimalistic spaces, but I want something that looks so comfy you want to dive in and stay there. C: Favorite space to renovate? JS: I LOVE outdoor living spaces, but sadly I don’t get to do a lot of them. I really enjoy giving the beautiful outdoors the comforts of inside. JS: I truly believe your home should make your life easier. Good design should create a stylish, yet practical space that will hold up to everything a family throws at it. JS: Whether I’m at a restaurant, a store or even another person‘s house, I’m constantly looking for inspiration and anything I can adapt to use for residential purposes. I’m like a sponge as I’m always soaking my environment. I can find inspiration in something as small as a piece of art or as big as an architectural feature on a commercial building. C: Design style in your own home? JS: Elegantly eclectic. I love conversation pieces and you’ll see a lot of those in my home. C: Wouldn’t start a project without? JS: I would never start a project without being organized. The more prepared you are, the more money you’ll save and the easier the whole process will be. C: Favorite design home cheat? JS: If you hang your curtain rod and drapes higher, it gives the illusion that you have taller windows. Jonathan’s Favorite Room in the Home is the Kitchen. JS: Inside the house it has to be the kitchen. I love a well planned, chef’s paradise. 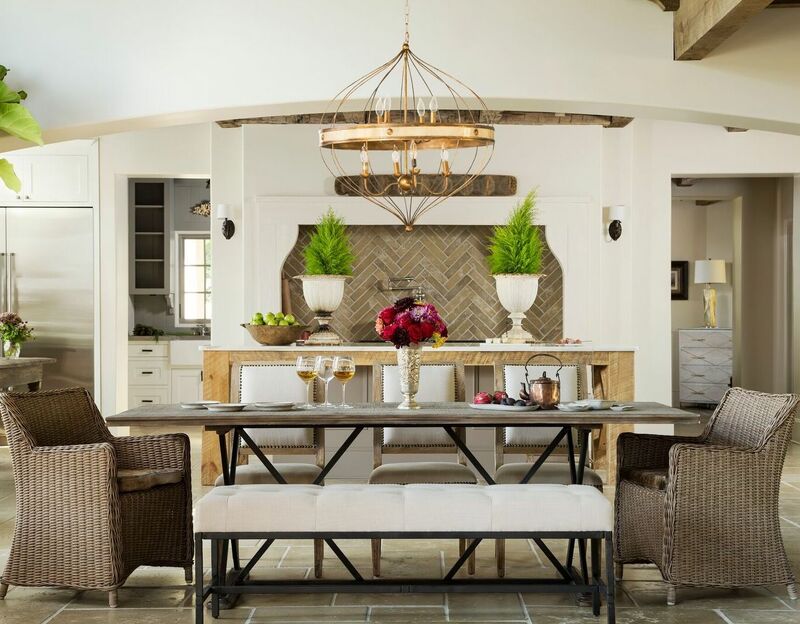 JS: When I renovated Drew and Linda’s house in Los Angeles, I got so excited because of the beautiful mix of materials and the fun features they wanted me to pursue. It’s definitely one of my favorite projects of all time and now it makes me want to redo my Vegas home. JS: I’ve been told many times that in a wallpapered room, all switch and receptacle plates should be wallpapered. Nope. I think it looks tacky. JS: That’s really hard to say. I love the vibe and energy of New York but the relaxed, romantic nature of Paris. Fortunately, Vegas has a Paris AND a New York, as well as a everything else I love in a city (shows and restaurants). For a guy who doesn’t really gamble or party, Vegas is an excellent fit. If Jonathan had to Move into a Famous House, it would be Buckingham Palace. JS: My favorite texture is leather finish on stone counters, my favorite pattern is herringbone or basket weave, and my favorite color is either muted midtown blue, or a deep green. JS: Always have extra food and drinks. Nothing kills the vibe faster than when you run out of food and drink. JS: Know when to use professionals. Electrical, plumbing and structural need to be done by a professional, and don’t forget permits are the law. If you renovate something without permits and you sell it without telling the buyer (in writing) that you didn’t get the applicable permits, it’s considered a latent defect and you would be responsible if your work causes any damage in the future, even if it’s 20 years later. JS: Talk to past clients and see their work for yourself. Also, check to see if they’re registered with companies like the Better Business Bureau and any building organizations. The more professional affiliations the company has, the more likely they are going to stick around and honor their warranty work. JS: I love that color is back in a big way. You’re seeing cooler neutrals so that bold colors really pop. Spring has sprung when it comes to design! JS: I don’t drink coffee — I’m naturally hyper.